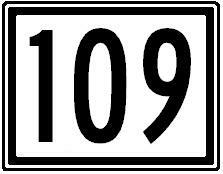 Maine State Route 109 is an east-west highway in Central York County. It runs from the New Hampshire/Maine State Line, near Action, to U.S. Rt. 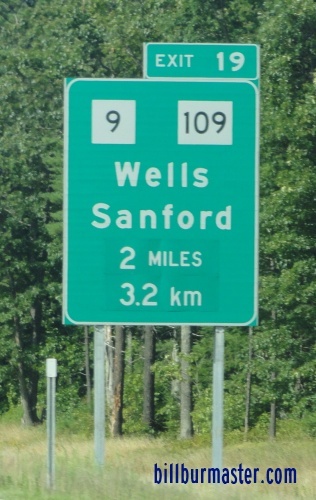 1/Maine State Route 9, at Wells. 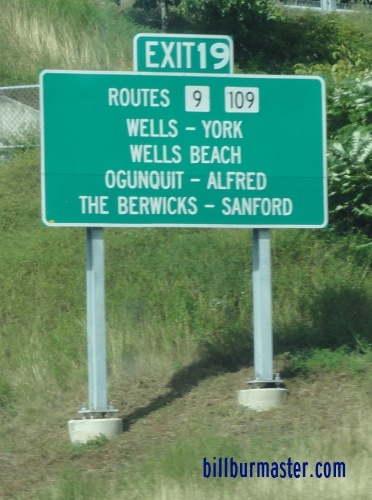 ME St Rt 109 passes through the following towns in York County. ME St Rt 109 is multi-plexed in York County. Maine State Route 11, from Emery Mills to Stanford. Maine State Route 4A, at Stanford. Maine State Route 9, near Wells. ME St Rt 109 intersects the following highways in York County. Maine State Route 11, near Emery Mills. Maine State Route 11A, at Springvale. U.S. Rt. 202, at Stanford. Maine State Route 4A, at Springvale. Maine State Route 11, at Springvale. Maine State Route 4, at Stanford. Maine State Route 99, near Stanford. Maine State Route 9A, near Wells. Interstate 95, (Maine Turnpike) near Wells. U.S. Rt. 1, at Wells. Maine State Route 9, at Wells.